If you’re visiting Milwaukee and looking for a nice place to eat dinner, the Five O’Clock Steakhouse will probably be one of your top picks either by suggestion or based on research. 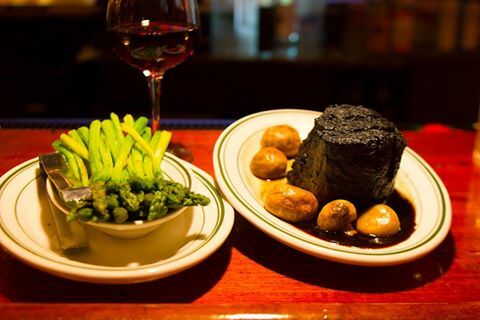 The Five O’Clock Steakhouse is known for their steaks, both locally and nationally. The supper club has a large and growing fan base, and their Facebook page is full of comments and reviews of people who have dined repeatedly at the restaurant or for their very first time. The restaurant has rave reviews, and every year local magazines publish polls for their readers to participate in to establish who’s’ who in the community. This year, the Five O’Clock Steakhouse was voted “best steak” by not only one, but three polls for 2016. The Milwaukee Magazine, Milwaukee Sentinel Journal, and OnMilwaukee.com released the results of their polls, naming the Five O’Clock the king of steaks. The restaurant is consistently named in the top tier of steakhouses and their popularity seems to only grow.